Shortly after World War II, Doug left his native Laurentian Mountains (Gray Rocks Inn, Mount Tremblant) where he had established a fine record as a Registered (Certified) member of the Canadian Ski Instructors Alliance. Intent on becoming “the world’s best ski teacher,” he went to California’s Squaw Valley to teach and study with the creator of the French parallel method, Emile Allais. There, he earned his American certification from the Far West Instructors Association; again as highest scorer for the year and in subsequent years headed the organization as its president. Doug served as ski school director at Kratka Ridge, Moonridge and Snow Summit, all in California and at Loveland Basin in Colorado. His summers were spent in college studying psychology and methods of teaching toward acquiring a BA in Vocational Education and a California public school teacher’s credential. To support his ski teaching goal, he taught fifth and sixth grades for several years. Perhaps capping his career as a ski teacher was his five-year involvement with Bill Lash, Willy Schaeffler, Paul Valar and others in founding the Professional Ski Instructors of America in 1961 and then serving on its board of directors as treasurer for the next four years. He is still an active certified ski instructor, working on yet another two or three ski books. Doug published his first book, Skiing…with Pfeiffer in 1958. Though humorous, it presented some new, serious concepts about ski techniques that helped lay the groundwork for the understanding of ski teachers. In addition to his appearances in the annual films of the popular ski movie makers, Doug did more than a hundred “how to ski for fun” spots on local TV. He was a sought-after speaker on the regional civic-service-club luncheon circuit, always extolling the joyous personal values of becoming and being a skier, promoting skisport. By 1972 such was his presence, he was chosen as commentator for the nationally televised “Killy Challenge” as well as co-hosting with Suzy Chafee a TV series called “The World of Skiing.” Further, he served as “colorman” on the original “Battle of the Sexes” CBS-TV shows. Around that time, he began development of a program concept (known today as freestyle skiing) which in less than three years radicalized many aspects of ski sport. It created enormous interest on TV and in the ski press. It excited thousands of young athletes to take up skiing and gave the ski equipment and clothing manufacturers a much needed, creative and commercial boost. 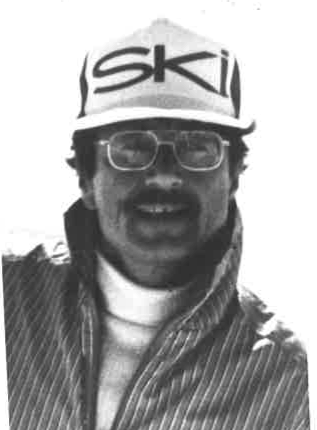 Doug Pfeiffer was elected to the U.S. National Ski Hall of Fame in 1987. If you notice any errors or inconsistencies in Doug Pfeiffer's bio, click here to let us know.